Reliance Jio is known for extremely affordable data plans and unlimited voice calls. Apart from this, the Jio Prime Subscriber also receives free subscription to many Jio applications. The Jio TV app is very popular all over the country. With this help the user can enjoy live TV channels anywhere and do not have to pay any extra fee. It is not that with this app everything is free. If you use the Live TV app continuously, then the data consumption will be faster. If you have chosen the cheap plan then there will be worry about the data. 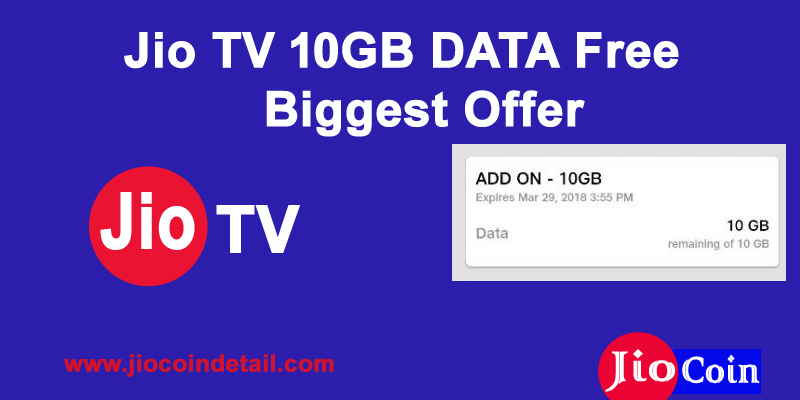 Now Jio is giving additional 10 GB of data to its customers. This free data is for live TV app. If you want a Jio user then you can check out about free 10 GB data in My Jio app. For this, go to the My Plan section in the app. Here, under the details of the plan, the add-on data will appear. This will happen only if the company has given you this data. Apart from this, you will also find information about date of cancellation and data consumption in the app. Jio Tech, a customer service official of Reliance Jio, told that the user is getting free data as a celebration. Actually, Jio TV won awards in Mobile World Congress 2018. The app got the award in the Best Mobile Video Content category. 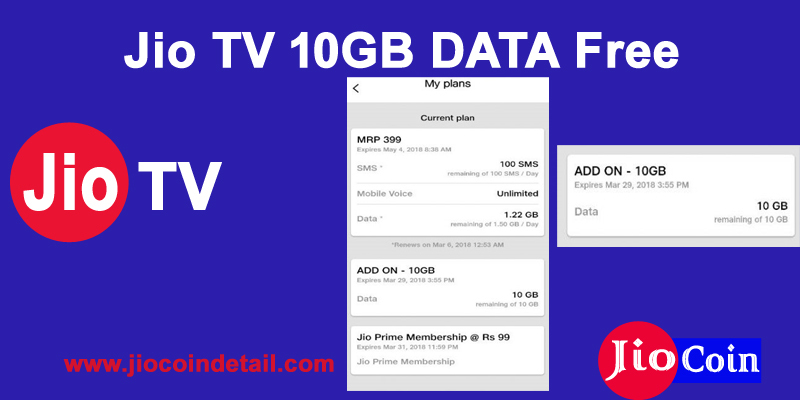 After getting free data, the Jio user can view the live TV app without any hesitation. During this time, the data received every day will not be consumed. The first free found data will be used. The funny thing is that the validity of free data is up to the end of March and the current live prime subscription will end on March 31. The company has not made it clear whether it will make any changes to the price of Jio Prime subscription from April. Please tell that the Jio TV app contains 583 channels, which includes 39 HD channels. In India, Jio TV meets the main challenge Airtel TV and other on-demand content apps.